SETTING THE STANDARD SINCE 1999. Charmed Life Tattoo is located on the Northside/Historic Brucetown area of Lexington, just past the heart of downtown. We are lucky to be home to some of the best tattooers in the state, while providing one of the most unique + eccentric spots in town. Charmed Life Tattoo has been tattooing the Greater Lexington area since 1999. Created by Robert Alleyne in a small two-booth 250 sq ft studio, we are now home to 8 talented artists and hundreds of clients. 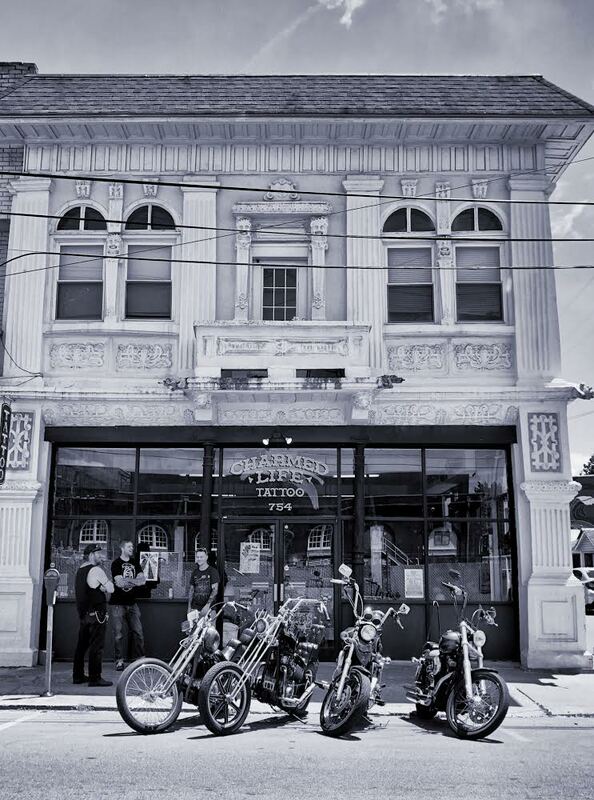 We provide one of the most clean, professional, and fun tattoo environments in Kentucky. Stop by and see for yourself! We accept walk-ins whenever we can! They are first come, first serve. Call the shop to see if we have walk-in availability at 859-266-4187. If we can't get you in today, we'll be happy to schedule you an appointment at a later date. For larger scale work, we always recommend scheduling an appointment. You can schedule an appointment by calling the shop or filling out our online appointment form. Have you made your appointment?